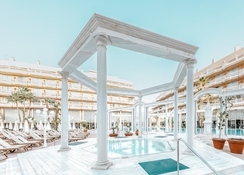 Cleopatra Palace Hotel is a true queen of a hotel in the south of Tenerife, and one of the best 4-star properties for a fun-filled family holiday in the Mediterranean. 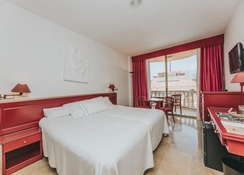 Located on the Playa de las Americas and separated from a gorgeous stretch of sand by a palm-filed promenade, this hotel is a winner among families and groups looking for activities, great pools and cloudless blue skies. Offering all-inclusive, half or full board accommodation, this beachfront family-friendly hotel has three magnificent sections: Cleopatra Palace, Julio Cesar Palace and Marco Antonio Palace. Holidaymakers have the choice of four swimming pools and restaurants, six bars, fitness and wellness centre, mini-club and many indoor and outdoor activities. Cleopatra Palace Hotel is a fabulous option if you want fun in the sun with more than a touch of luxury, Cleopatra Palace beckons you to relax by its large pools, bronze yourself at the nearby Camisón beach or tee off at Las Americas Golf Course. 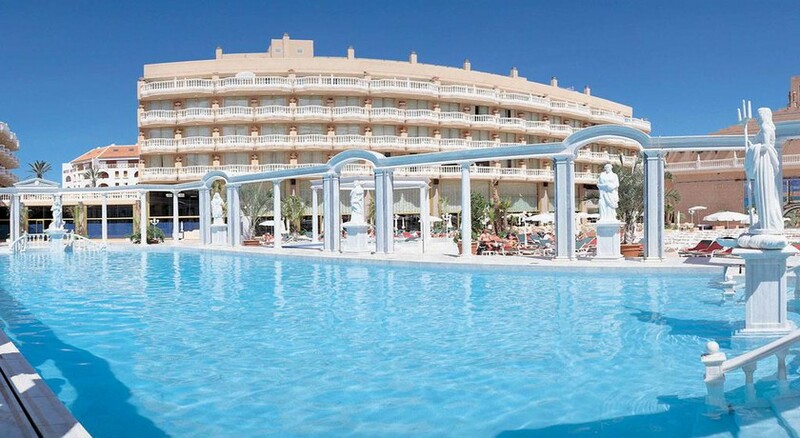 Cleopatra Palace Hotel is 50 metres from the beautiful Camisón Beach, in Playa de las Americas. The bars, cafes and restaurants, and shops on the marina are a short 5-minute walk away. 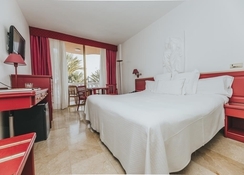 The hotel is 16.5km from Tenerife South Airport and 3.7km from Las Americas Golf Course. Cleopatra Palace Hotel comprises of 431 guest rooms surrounding a central swimming pool. The rooms come in three categories – Double Rooms, Family Rooms and Suites – with pool views and ocean views available. 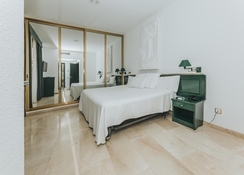 En-suite bathrooms, air-conditioning, TV with satellite, telephone, mini bar, safe deposit lockers and Wi-Fi are a few of the amenities available. The rooms are spacious, well-ventilated and bright. Six bars and four restaurants offer ample food and drink options at the hotel. There are two buffet restaurants - Cleopatra Palace and Mediterranean - that are open for breakfast, lunch and dinner. There is also an a la carte restaurant - Windsor - open for breakfast, lunch and dinner. The Bar Hall, Salon Imperial and Sport Bar open during evenings and serve a wide range of drinks and cocktails. Bar Vitaminas, Snack Marco Antonio and La Terrasse are open well into the evening. There is also a cocktail restaurant to enjoy, La Palapa Beach Club. An outdoor Jacuzzi with solarium and four swimming pools are open to guests at the Cleopatra Palace Hotel. There are activities ranging from aqua-gym, billiards, cookery classes, dominos, football, Pilates, photography, painting and wine-tasting – just some of the popular ways to unwind at the hotel. Apart from the spa which specialises in luxurious massages and treatments, enjoy live evening shows, a disco, rock & roll and salsa nights. For children, there is the Club Mare Kids to keep them busy all day. My daughter and I loved this hotel, would highly recommend. Great service, clean, comfortable rooms and good location. 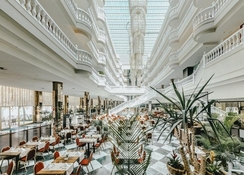 Could not fault hotel , fantastic location , would love to visit again sometime and would highly reccomend , in fact visiting tenerife in September and I am bringing my friends to see hotel as I would like to visit with them in the near future. Excellent location, staff amazing, food great.